Hi there! I am writing this blogpost from San Francisco. My wifi connection is super slow, and I am about to go crazy, but I simply have to get this blogpost out! In this part, I am going to talk a bit about photography. 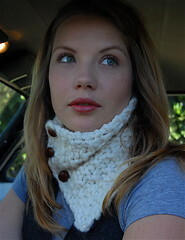 When you put out a pattern, it is nice when you have an image to showcase the knitted end product. If I had a lot of money, I would hire a professional photographer. However, I do not have a lot of money. So it is just me, my dslr Nikon D40 and any willing model! For the past 2 years I have been working with my Nikon D40, an entry level DSLR. This dslr camera, was the cheapest I could find at the time, so I just went for it. I took a photography workshop, did not understand a what the teacher was talking about, and finally just played around with the camera. It intimidated me at first, it still does a bit. Most of the time, I just click away and really don’t know what the hell I am doing. But when an image works for me, it works for me. And step by step, I am starting to understand my dslr more and more. So far so good, I have made some pretty good shots in the past with 3 different lenses. Here are a few examples of images I made over time and used for my patterns. Not bad for an amateur, eh? I had hoped to work with a particular model this past weekend, but alas, she was not available. 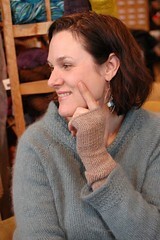 So instead, I attacked several knitters at the yarnshop Closeknit on Alberta Street in NE Portland. So, here are several pictures I need to choose from… Will you help me out? 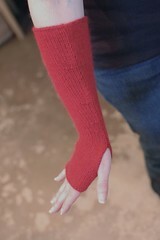 And this is Michelle, showcasing red sportsweight gloves. It fits so well over her hand and arm! Yikes… which one to choose? Help me out here, will ya? Nancy, for crying out loud, get on with publishing the pattern. Pretty please? I know, I know! 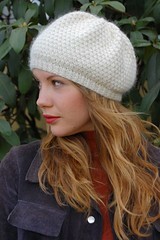 More than anything else, I want to publish the pattern asap! But I have got to go through all of these steps, see. And I wanted you to walk along with me. So, since you have been so patient with me, I have a little gift for you. 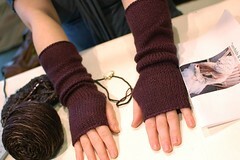 In the next few days, I am going to issue several patterns for free. Yes, yes! For FREE. I heart you so much, see. 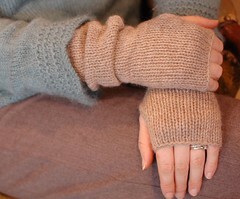 You are my favorite knitter! So come back and get your goodies. 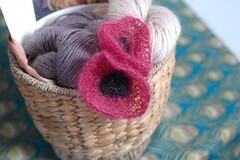 This entry was posted on Monday, February 15th, 2010 at 10:44 pm and is filed under Knitting. You can follow any responses to this entry through the RSS 2.0 feed. Both comments and pings are currently closed. Leuke en mooie fotos voor aan amateur. En die handschoenen, wauw, die zijn zo mooi ik kan niet wachten. I really need to get a decent camera. I think I’ll check out this Nikon. Thanks! Great Photos. The red glove looked very elegant on the model. I like Monica’s photos the best. The images are more casual but have more interesting angles and seem more natural. It was good to see you on my visit. Hope I’m back to Portland again for good, soon! OH Nancy, lovely shots!!!! I need a lesson with my camera. 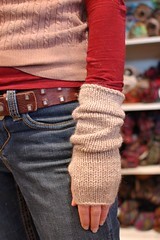 Your shots really do show off your knitting! I am moving soon so let’s do tea asap! I liked the last pic with the purple gloves and the red ones on michelle. Gorgeous colors!! I have the d40 too and am still learning a little more every time I use it. I only have the kit lens so far and was wondering what lenses you have and how you like them. I think its definitely time I got a couple more lenses. The red one for sure – it looks so elegant ! 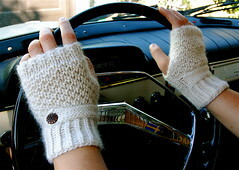 Can you email me your simple fingerless gloves pattern?